Your team love Excel, so keep using it and move the engine to the cloud, taking the best of both with a hybrid solution – Excel on the desktop and super fast TM1 in the cloud. Spend more time analysing and planning, and virtually no time crunching data and consolidating spreadsheets. Using the advanced analytics inside Planning Analytics focuses on the future of the business, rather than what’s happened in the business. It’s business intelligence done right. Have confidence that your data is correct – every time – so that you can plan your business the way you want, drive positive results, and respond to changing market dynamics fast. Useful to finance professionals seeking to gain a comprehensive overview of the planning software landscape, The Planning Survey 18 by BARC reveals the strengths and challenges of many of the leading vendors in the space as well as a number of smaller vendors — some regional and some relatively new to the market — many of which offer outstanding value to their customers. Download BARC's summary of the headline results for IBM Planning Analytics here. ExploringTM1 grew out of our old TM1 Tutorials site and is now our masthead blog for all things technical to do with TM1 and Planning Analytics. In here you will find articles from the best way to implement security in TM1, to how use a whole range of TI, Rule and Excel functions, on Planning Analytics Workspace and Planning Analytics for Excel and even how to give your TM1 a health check. There's almost 300 useful blog posts there, so head over and check it out. 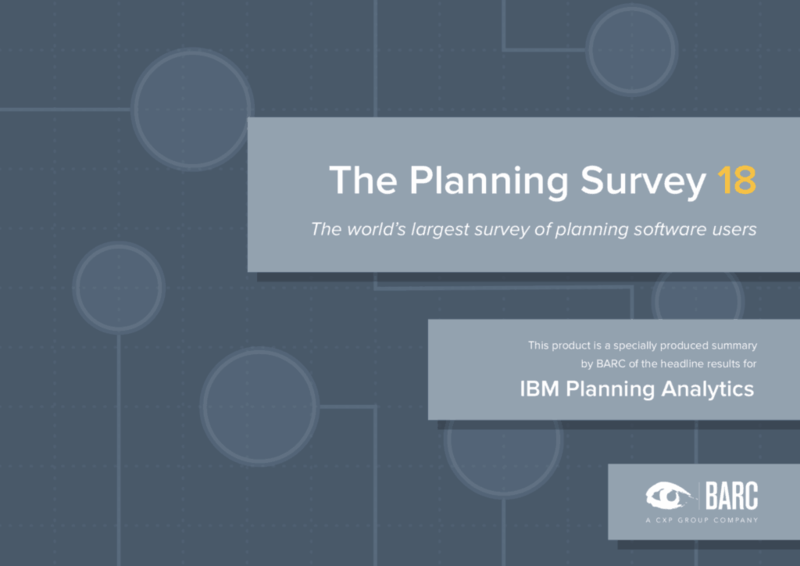 Download the IBM Planning Analytics Data Sheet. Visit the IBM Planning Analytics blog. Join the ExploringTM1 LinkedIn group. Join the IBM Planning Analytics community. Looking to get Planning Analytics training? We have a wide array of options from custom on site user training with your data to online and classroom delivery. Need help with IBM Planning Analytics?